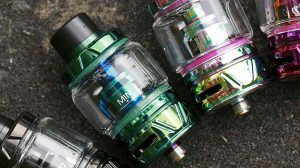 Fresh Pressed vape juice is certainly going to become your next favorite vape juice brand with the mouthwatering flavors they create. 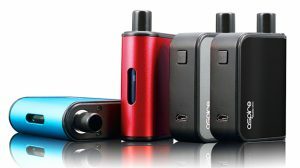 This vape juice line is brought to you by a brand called California Grown E-Liquid. California Grown makes all of their vape juice with premium grade quality of ingredients to provide you with the best possible vaping experience out there. 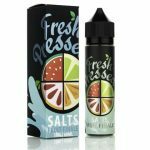 Fresh Pressed vape juices has the most flavor that you’ll ever be able to find in a vape juice due to the low nicotine dose sub-ohm salt used for the entire collection. With every puff, you take you will feel as if you’re on top of the world. Fresh Pressed Vape Juice has a wide variety of flavors and is packaged in 60ml vape juice chubby bottles so that no matter what mood you’re in you’ll be able to find a vape juice that will have you falling head over heels in love. Fruit Finale delivers the taste of juicy apples, freshly picked pears, and Amazon forest fruits with every single puff you take. 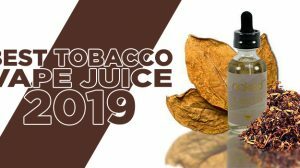 This vape juice is certainly the perfect vape juice for those fruit fanatics out there who are tired of the same old fruit flavors all the time. As you inhale Fresh Pressed Fruit Finale vape juice, the taste of juicy apples will hit your taste buds in the best possible way. Then, the taste of freshly picked pears combines with the apple flavor to create the most mouthwatering flavor you’ve ever tasted. As you exhale, the taste of the entire flavor together and leaves your taste buds craving more and more. Lava Luau provides you with a blend of juicy watermelon, succulent kiwi, and a mix of berries that will have your taste buds in a frenzy from your very first puff until your last. This vape juice is all you need to keep you cooled down in the middle of summer and quench those longings for summer in the middle of winter. As you inhale Fresh Pressed Lava Luau, the taste of juicy watermelon will dance across your taste buds. This flavor is so authentic that you will have to wipe your mouth to ensure that you don’t have any watermelon juice dripping down your face. Then, the taste of kiwis blends with the watermelon to provide you with a taste of summer. As you exhale, the mixed berries flavor ties together the entire flavor profile and will leave you craving more and more. Honeycomb Berry is a traditional limeade flavor combined with freshly harvested Hawaiian berries, all topped off with a honey drizzle that provides just enough sweetness to keep you going all day long. This vape juice will have your taste buds going crazy! As you inhale Fresh Pressed Honeycomb Berry vape juice, the flavor of the limeade will have your lips puckering in utter delight. Then, the taste of the Hawaiian berries will instantly sooth away the sourness. This vape juice has just the right amount of sour and sweet that will have your taste buds falling in love with every single puff you take. As you exhale, the honey drizzle will wash away the rest of the sourness and sweetness and leave your taste buds feeling refreshed and ready for whatever may happen. Pressed Pink Melon provides you with a mix of sweet southern peaches, juicy watermelon, and mouthwatering honeydew. This flavor incorporates the best melons you can find with an underlying tone of sweet southern peaches that will undoubtedly drive your taste buds up a wall. As you inhale Fresh Pressed Pressed Pink Melon vape juice, the flavor of juicy watermelon will flood your taste buds as if you’ve just taken a bite out of a slice of watermelon. Then, the taste of honeydew combines with the watermelon in such a way that you will surely be drooling. As you exhale, the sweet southern peaches take this flavor and wrap it in a big bow that will have you feel as if you’re opening the best present in the world with every single puff you take. Sugar Tantrum will have your taste buds feeling as if they are in sweetness heaven. This vape juice takes the taste of whipped custard, vanilla bean, and crunchy pecans to create a sugary dessert flavor that you will never be able to forget. As you inhale Fresh Pressed Sugar Tantrum, the taste of the vanilla bean will dance across your taste buds in a dance that you will be mesmerized by. Then, the taste of pecans will combine with the vanilla bean flavor to create a sweetness that will drive you wild. As you exhale, the whipped custard base comes through and brings this flavor to a whole new level that will have you addicted in seconds. 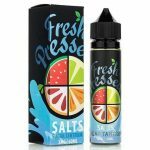 Fresh Pressed is made with salt nicotine which is what makes this brand unique. 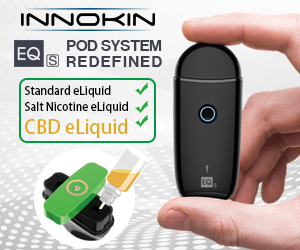 With Fresh Pressed vape juices, you will get a true to the taste flavor, and a smooth mouth to lung hit that you will certainly never tire of. Fresh Pressed vape juice has so much flavor that you will be puffing non-stop just to taste these delectable flavors. 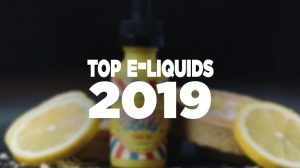 With every single one of the Fresh Pressed vape juices, the tantalizing flavors will deliver the most intoxicating flavor that will make Fresh Pressed vape juices your for sure all-day vape juice.